Diabetes mellitus refers to a group of conditions which affect the body’s ability to absorb glucose, due to a resistance to insulin or a lack of insulin production. 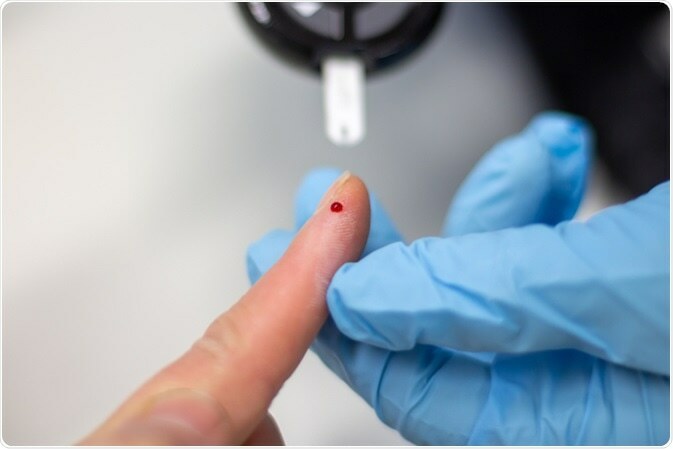 This results in a high blood glucose concentration which can result in severe complex pathologies further down the line, including cardiovascular disease, neuropathy and retinopathy. Diabetes therefore affects many areas of the body. Current research is focusing on whether it has any deleterious affects on the red blood cells (RBCs) and whether this contributes to the medical complications that many patients face. The red blood cells of diabetic patients circulate within the blood in a hyperglycemic environment for most of their lifetime. This leads to changes in their specific morphology, such as shape, size and structure. These changes may detrimentally affect their function. In non-diabetic patients, red blood cells are shaped like biconcave discs, with very high plasma membrane integrity and cytoskeleton stability. This enables the red cell membrane to deform substantially in order to survive the shear stress experienced when the cells pass through vessels of various diameters and blood streams of varying turbulence, within the circulatory system. Red blood cells are around 8 μm in diameter; however they must pass through 3 μm capillaries without fragmenting and losing their hemoglobin. Anisocytosis – RBCs in diabetics are unequal in size. Poikilocytosis – Variations in RBC shape, with up to almost a third of red cells being unequal in size, compared to below 2% in non-diabetic patients. Elongated cells – RBC membranes extend and form projections around spontaneously forming fibrin molecules, leading to masses of fibrin which may contribute to thrombosis development. Increased diameter - Many patients with diabetes have a 10-15% increase in RBC diameter, increasing blood viscosity. This results from an influx of glucose which flattens the biconcave disk and bloats the cells. AFM enables good visual analysis of this phenomenon, and is thus suitable for determining the presence and rate of diabetic disease progression. Reduced membrane integrity – Rearrangement of the proteins in the plasma membrane and cytoskeleton weakens the membrane, as does the influx of glucose. Cytoskeleton proteins also appear to be heavily glycosylated, impacting membrane stability. RBC membrane smoothness – scanning electron microscopy shows smoother RBC membranes in diabetics, because of protein damage and rearrangement, as well as the loss of several lipids on the outer surface. Aggregations - High blood glucose concentrations result in the RBCs adhering together and to the endothelial wall. Research suggests that plaques of RBCs may cause endothelial dysfunction, predisposing diabetic individuals to cardiovascular disease.